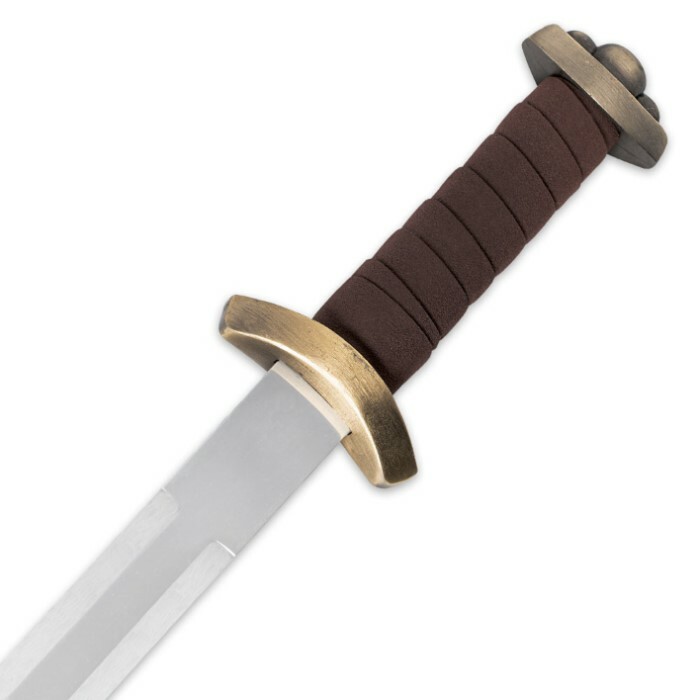 Modeled after the historic medieval Viking swords, our Godfred Viking Sword features a high-polish stainless steel blade. The old-world theme continues with the antique brass-finished hand guard and pommel. Brown leather wrappings on the handle are not only elegant but also provide a firm grip. The matching scabbard houses the 27” blade in dramatic style. It is embellished with matching hardware accents and coordinating leather accents. 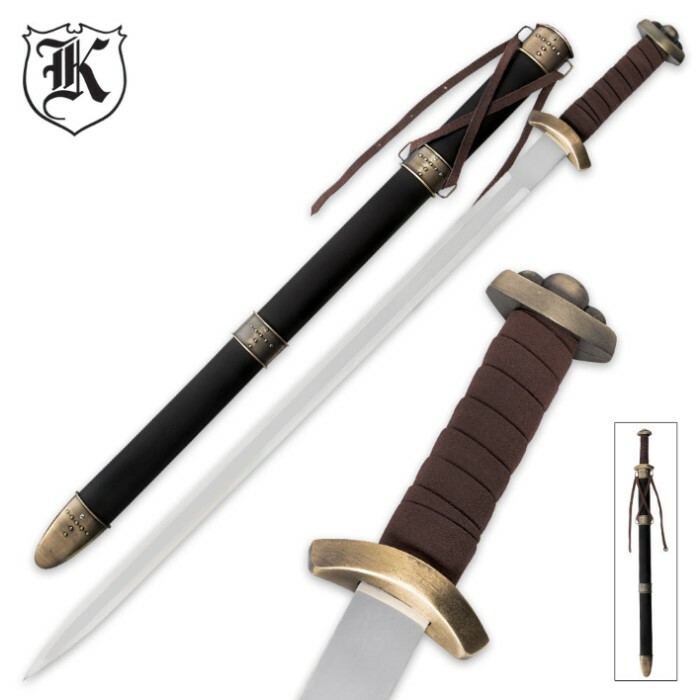 The sword itself measures 32.72” overall (34.25” closed in scabbard). not a bad blade. good shape, solid tip, nice handling. bad handle. hollow plastic tube, half tang, glued on pommel. not for fighting or practicce, but good looks.